Since quality (not quantity) is what matters the most when it comes to web content, a good content writer should be able to create a piece that is enticing to the readers, to encourage them to visit the website. The content should be strategic, unique, and well researched. But what separates excellent writers from poor ones? The following are the qualities of a content writer, who has mastered the art. However, experienced a content writer is, it is not possible for them to know everything they are writing about, in advance. Since innovation has not (and possibly will not) stopped, knowledge is dynamic. That is why a content writer needs to do research, before attempting to write even a single word. Even if they have written about a subject before, research is still necessary, because chances are that new ideas may have been added to the topic- the content must be current. Additionally, it is important to compare various sources of information to ensure the content is valid. Research information can be obtained from journals, newspapers, or books. Both online and offline materials are good sources of information. A good content writer has good knowledge on search engine optimisation (SEO), which is what gives content visibility, in search engines. 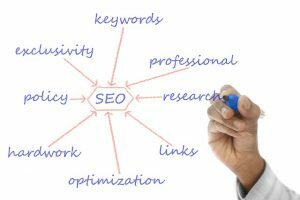 The more SEO-friendly the content is, the higher the Google ranking. On top of SEO knowledge, content writers need to understand how content management systems work. This is the most important quality in content writing. A content writer must create unique content, every time they write. It doesn’t matter if they are writing about the same topic for different clients. In most cases, if not in all cases, clients use plagiarism checkers to determine the uniqueness of the content. If the tool detects that the content has been copied, either in whole or in part, the writer’s profession becomes questionable. Content requesters typically require writers to deliver content, within a specified time frame. If the writer fails to deliver the pieces as stipulated, the client may nullify the contract, without compensating the writer. Even though there are clients who may grant writers time extensions, this may not resonate with some clients- most of them, as a matter of fact. It is worth noting that content quality should not be sacrificed in the name of beating a deadline. For a content writer to stand out, they must deliver quality content, but within a stipulated period. Being versatile in this context means being a master of all trades. Whether the topic is about travel, food, health, business, gardening, finance, or technology, this should not be a bother to them. Generally, clients like writers who can create content on almost everything, and a versatile writer has higher chances of getting hired. Online writing has become a primary source of income for many people across the world. While some people view it as full-time job, others see it as a part-time opportunity to make an extra penny, on top of their regular income. However, with a sea of online writers out there, it is critical to stand out if you’re one of them, and embracing the qualities discussed in this piece can catapult you from an amateur writer to a professional one.